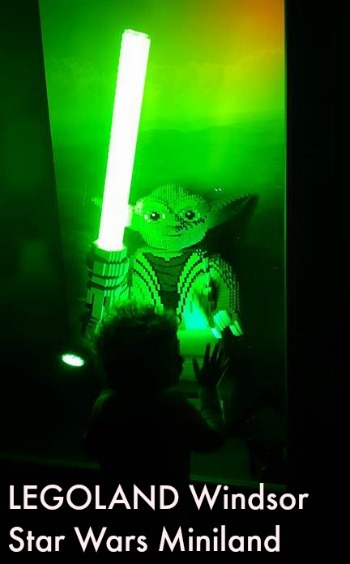 LEGOLAND Windsor Star Wars Day! 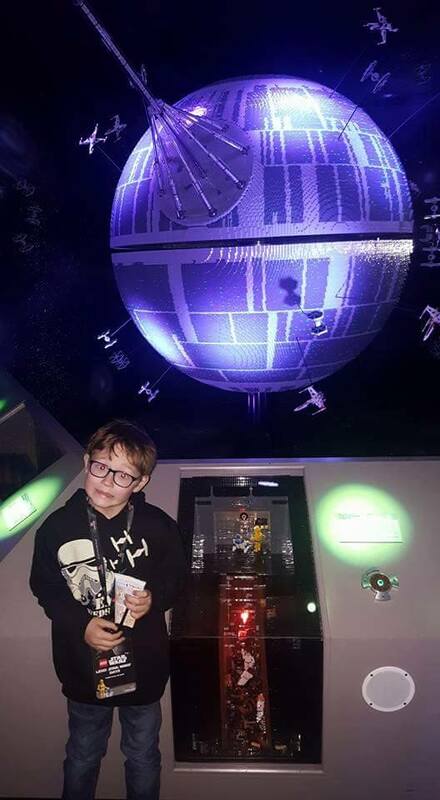 Last Saturday we headed on down to LEGOLAND Windsor for a very special event, and one that got the kids mega excited! Arriving at the park at 8.45, we were treated to an exclusive viewing of the Star Wars Miniland. 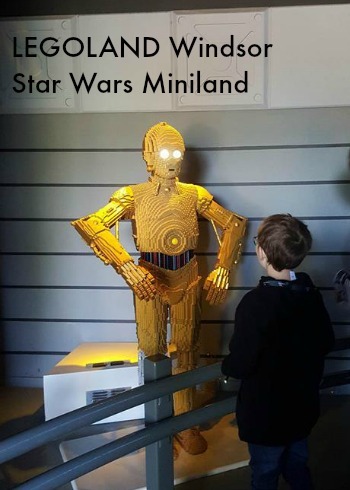 Entering the Star Wars Miniland you are immediately treated to an atmosphere change, the lights are dimmed and on display are the most amazing Star Wars characters made all out of LEGO, there is 1,500 models all made out of LEGO. Walking on through, you will see everything all of the amazing displays, and there is many interactive displays as you go along, so it’s great fun and engaging for all the family, even ones who *gasp* haven’t seen Star Wars, yes there are a few of those out there believe it or not, but I am sure once they have been through the display they will be wanting to see all of the films. As you get towards the end, you will now find the brand new Death Star! Standing at a whopping 3 metres tall, it is 2.4 metres wide, and weighs a massive 860kg! It is simply amazing! 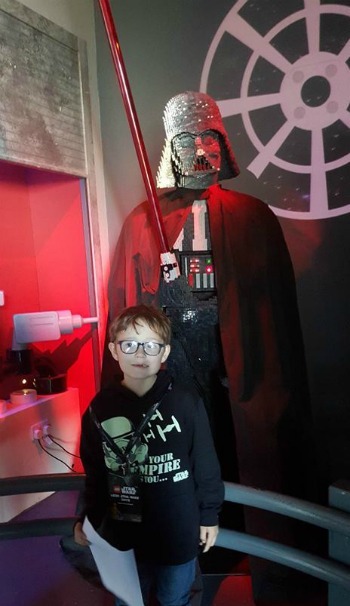 All bank holiday weekend, the guests were treated to Star Wars fun, with a programme running from 30th April – 2nd May, there was so much to do on the resort. There was even Star Wars characters all over the resort which were more than happy to pose for photos with you. Of course, on top of all of this, the whole resort still has all the fantastic rides open, and we all had the most fabulous sunny day! 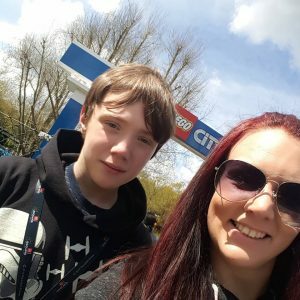 A massive thank you to LEGOLAND Windsor for inviting us down, it was an awesome day that we all thoroughly enjoyed. 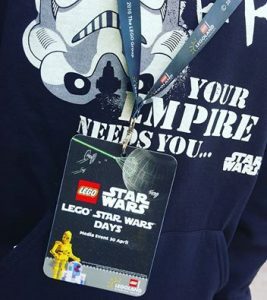 This post is part of my LEGOLAND Windsor Blogger Ambassadors 2016 program.